In the latter part of 2014, my cat Cleo was diagnosed with feline diabetes. She had just turned nine when she dropped a bunch of weight and then started walking funny; her hocks clonked noisily against the floor and she struggled with the stairs. Feline diabetes was not something I ever really thought about and the diagnosis came as a bit of a shock, especially since Cleo was a cat who had never been sick a day in her life. This was a cat who made it very clear from the time she was a kitten that she didn’t need anything from anyone, a cat who wore dog slobber like a badge of honour. ‘How could she be so seriously ill?’ I wondered as we were thrown headlong into a whirlwind of information, vet visits, blood and urine tests, insulin shots, and home blood glucose testing. Suddenly there was a sharps container in my bathroom and a cat who could barely walk from one side of the room to the other. 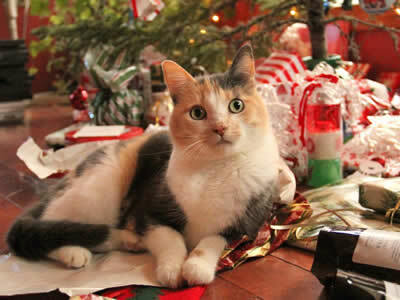 At her worst, Cleo suffered peripheral neuropathy in all of her limbs, so that she flailed and flopped everywhere. It was difficult to watch. From the beginning, though, we had been told about the possibility of remission and I clung to that idea. I was sure we would get there. If any cat could do that, I thought, it would be Cleo. But as the weeks went by and Cleo seemed to be getting worse instead of better, it felt very much like we were running out of time. The treatment we were following didn’t seem to be working, so I began researching the disease more thoroughly, determined to find a different way. I learned a lot more about a healthy feline diet and I learned about tight regulation. I made some changes to what we had been doing and watched in astonishment as three months after her diagnosis, Cleo started to get better. It was amazing to watch her body heal, and it happened quickly after I got all the pieces in place. 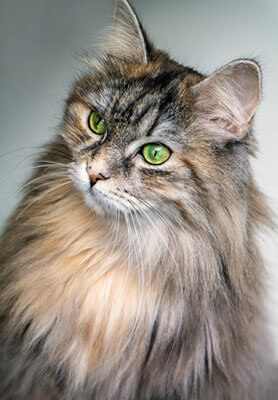 By the end of March 2015, Cleo no longer needed insulin injections and by the end of that summer you wouldn’t guess that she had ever been sick. Her legs, which I was sure would never be normal again, repaired themselves a little more each day until she was leaping about the house like she had when she was a precocious two-year-old. Through the entire ordeal, Cleo was incredible. I was so proud of her and so grateful to have this second chance with her that I wanted to share her story. I wrote The Comeback Cat in the hopes it might help other cats in the world, and their people, dealing with feline diabetes. 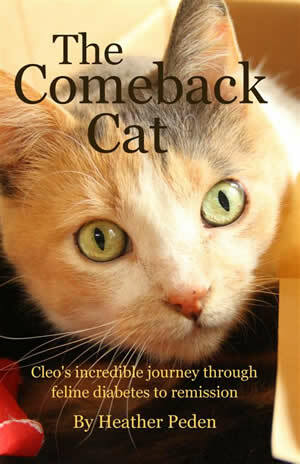 I also wrote the book as a bit of a tribute to Cleo, an eccentric cat who never seemed to quite fit in to our family, but whom I have greatly come to admire in all her quirkiness. 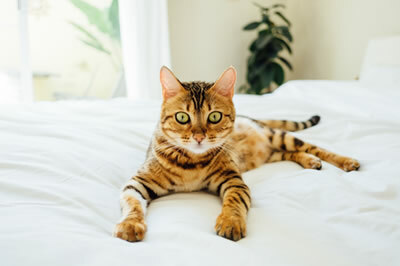 I found this wonderful little page that has an audio podcast about feline diabetes. Click on podcast number 7. Last week 2Pac had extensive blood work done. His urea is extremely high, as is his Creatinine and CK levels. He is also slightly anemic.